Sarah Gauthier is also an Assistant Professor at the University of Saskatchewan in the Department of Civil, Geological and Environmental Engineering. 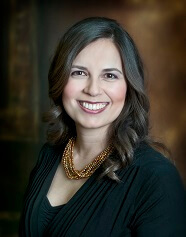 She is also Owner and Co-Founder of Missinipi Water Solutions, which is based in Saskatoon, SK. Prior to starting her own business, she held various engineering positions at Delco Automation Inc., Cameco Corporation, Golder Associates Ltd. and SaskEnergy. She is also a member of Project Management Institute, Women Entrepreneurs of Saskatchewan and the Canadian Engineering Education Association. Ms. Ritu Malhotra, President of March noted “Diversity is one of our greatest strengths so I am very pleased with this appointment. Sarah’s engineering experience and her Indigenous background will be a great asset to our Board”.